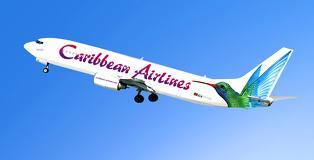 As the sun began to set on the closing days of 2010, Caribbean Airlines Ltd (CAL), the airline owned by the government of Trinidad and Tobago, has been the major headline story in Trinidad and Tobago. It is a story that has serious implications for the operations of Air Jamaica and, once again, makes a “regional airline” an elusive ambition. There has been a very public squabble between the Minister of Transport and powerhouse, Jack Warner, and the newly appointed Board of Directors of CAL. The squabble is a turf war over who makes decisions for the airline. Warner has proclaimed that either he or the Board must go and that the government must make a choice. At issue is whether the new Board of Directors had the authority to re-evaluate a major decision, which had been made by the airline’s CEO in the absence of a Board of Directors after the old one had resigned, to purchase a dozen turboprop aircraft to replace and expand its fleet which services the Trinidad to Tobago air bridge. The CEO, Ian Brunton, sought and received Cabinet approval to proceed with the transaction which had not been finalized by the time the new Board was appointed although a ‘good faith’ deposit had been paid to the aircraft manufacturer. Enter, then, the new Board which took the view that the decision to spend a quarter of a billion US dollars should await its overall review of the airline’s strategic plan to ensure that the aircraft chosen and the number ordered were compatible with the plan. The public squabbling became so frenzied that Prime Minister Kamla Persad-Bissessar and the Attorney General have imposed a “time out” on the issue in an effort to find a solution. This summation of the power struggle over CAL sets the scene for the troubling reason for this Commentary which is: what are the implications for Air Jamaica and the notion of a single Caribbean-owned airline? The CAL Board of Directors in a Press Release on December 12 raised the possibility that CAL might not proceed with its acquisition of Air Jamaica. This represents a huge change on the part of Brunton, the CEO, who in a newspaper article on November 11 reaffirmed his support for CAL’s acquisition of Air Jamaica and went further to say that it was part of CAL’s mandate to have one Caribbean airline which included LIAT, the carrier owned by the governments of Antigua and Barbuda, Barbados and St Vincent and the Grenadines. Brunton is no longer the CEO. Dismissed by the Board, he is collateral damage in the ongoing turf war and is seeking his own redress. After the May 24 general election that swept in the new, coalition government, the Minister of Finance, Winston Dookeran, appointed a Cabinet sub-committee to assess the Air Jamaica acquisition which had been concluded on April 30, 2010 and was in effect for an interim period of one year. The Report’s analysis, conclusions and recommendations were not made public but were apparently accepted by Cabinet as defining a way forward for CAL including the Air Jamaica acquisition. Thus, while in Jamaica in early July for a Caribbean Community (CARICOM) Heads of Government Conference, Prime Minister Persad-Bissessar discussed the Air Jamaica acquisition directly with Bruce Golding, her Jamaican counterpart, and declared that: "When you put the pros and the cons together, the bottom line from our review is that it would be advantageous to Jamaica and Trinidad and Tobago to honour the agreement." and continued “… in every business venture there are risks, but we did the risk analysis and the bottom line is we decided to go ahead with the deal.". The Jamaican government assumed all the liabilities of the airline and CAL assumed the financial risk of the continuing Air Jamaica operations from May 1, 2010, receiving any excess of revenue over expenses or covering any shortfall. This first stage was to last for a year – until April 30, 2011- to give CAL the opportunity to plan for the second permanent stage which is the full integration of the Air Jamaica operations into its system at which time it would formally assume ownership of the Air Jamaica assets required for those operations, be designated as a Jamaican national airline, and have the right to the use of the Air Jamaica brand. As part of the overall arrangement the Government of Trinidad and Tobago was to invest US$50 million in new equity capital into CAL to fund the transition and integration, and the Government of Jamaica was to receive a 16% equity interest in the new CAL with the right to appoint one member to its Board of Directors. Until April 30, 2011, CAL has the right to terminate this arrangement on minimal notice at its option with no apparent penalty. After the publicly declared July go-ahead from Prime Minister Persad-Bissessar, the integration of the two airlines appeared to be proceeding smoothly: joint ground operations at Toronto and Fort Lauderdale, a new joint ticket office in Jamaica, direct flights on CAL aircraft from Kingston to Toronto – all as expected: numerous small, visible incremental steps with more going on behind the scenes. In public, the CAL CEO talked up the Air Jamaica acquisition and its prospects for a future that would see CAL grow by further such acquisitions, including that of LIAT, into the Caribbean Regional Airline for the entire CARICOM Caribbean. So, what has transpired between the Persad-Bissessar announcement in Jamaica on July 8 that she was “very happy to announce that we are going to be partners, definitely when it comes to Air Jamaica and Caribbean Airlines” and the suggestion by the CAL CEO to the new CAL Board on November 11 that “that it should not complete the Air Jamaica transaction”? The government of Jamaica and Air Jamaica have been proceeding on the basis of the written agreement with the Trinidad and Tobago government and the public declaration of Prime Minister Persad-Bissessar who personally made the commitment to a partnership between Air Jamaica and CAL. Her personal credibility has been thrust on the line in this matter, and she should not let this year close without urgently ending the doubts and concerns over Air Jamaica and the prospects for a “regional airline” created by the struggle for power over CAL.